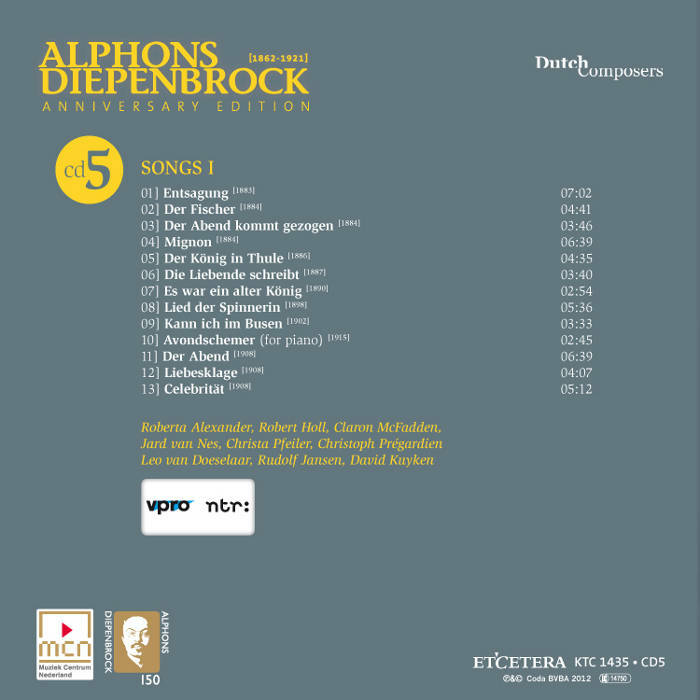 There are no autographs of the Drie Ballades (Three Ballads) opus 1 in the Diepenbrock archive; nevertheless, the date of composition of each of the songs is known as Diepenbrock wrote the month and year of composition beneath his name at the beginning of each song in one of his copies of the printed edition of 1885. It was not without some surprise that I became acquainted with above ballads. 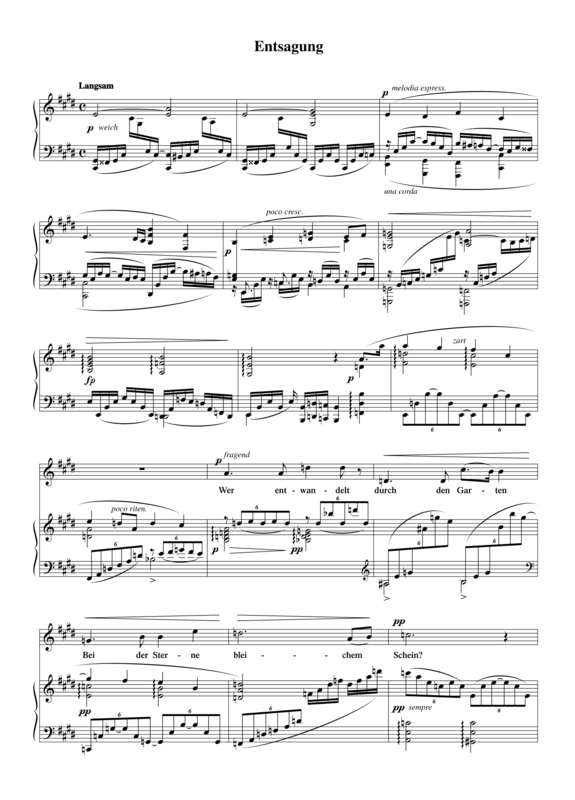 For I asked myself, how can it be that a young composer with such talent has remained, until now at least, so little known to the music world. Later I heard that Mr Diepenbrock is not a professional musician, and so, one might say, he should be considered a dilettante. However, in my criticism I will pay absolutely no attention to this, as, in my view, as far as composition is concerned, the products of dilettantism should not be judged less harshly than those of professional musicians. Let me add immediately that the three compositions by Mr Diepenbrock by no means reveal the hand of a dilettante. Commercially the publication of the Drie Ballades opus 1 was not a success. Diepenbrock was contractually bound to buy back the unsold copies from music publisher Roothaan. (BD I:100) According to a letter from Hondius van den Broek to the composer dated 12 October 1907 (BD V:446), he apparently did. 1 See Josine Meurs, Wagner in Nederland 1843-1914 (Zutphen: Walburg Pers 2002), 247-248. Bei der Sterne bleichem Schein? Wird die Nacht ihm selig sein? Nicht der Kindheit Recht geehret. Und mit Blumen mich beschütte. Daß nicht die Erinnrung schwinde. Noch der Kindheit Lust empfinde?" Und es glänzt' im dunkeln Gras. Denk’ an unsrer Kindheit Schöne! Glänzt darauf und eine Träne."